Park up close to the Main Arena and collect your VIP wristbands. Lounge in a light-filled lavender scented VIP marquee and mingle with the Cotswold Glitterati! Grab a complimentary paper, charge your phone for free and sip a glass of fizz on one of the many comfy sofas. Revel in the luxury of no bar queues, enjoy the works of art and take it all in from the exclusive terrace with views of the Main Stage. Oh, and did we mention the VIP-dedicated (and really rather swanky) WCs? You can’t ask for more than that! 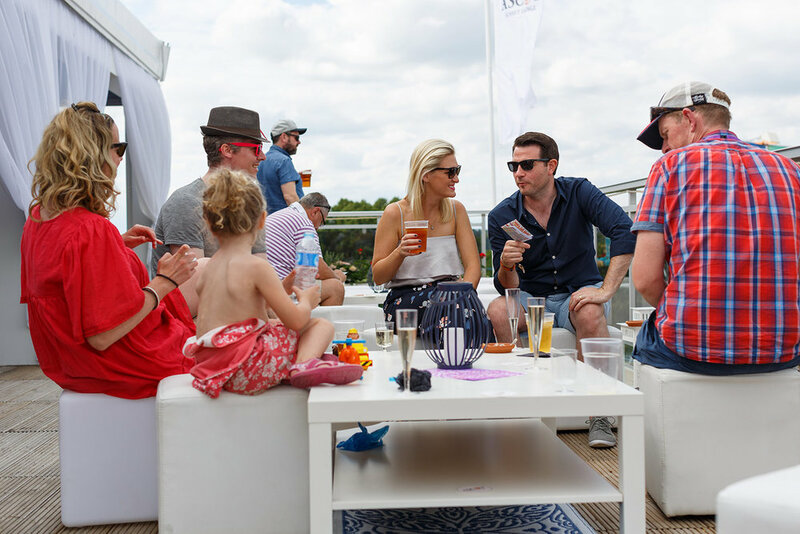 Similar in style and atmosphere to the VIP Enclosure, but your own private enclave from which to enjoy the festival - book a Club Tent for one or both days of the Festival weekend. Whether you are entertaining clients, celebrating a special event or simply spending quality time with friends & family, a day or weekend in a private tent at the Cornbury Festival provides a wonderful platform and is always a memorable event. Relax in your own private sanctuary and shelter from the anomalies of the English weather – shade from the heat and/ or keep dry in the rain! Just give us a call to find out more and to discuss prices. Tell us what we can do to look after your guests… remember almost anything goes at Cornbury, the country fair with a rock ’n’ roll twist!